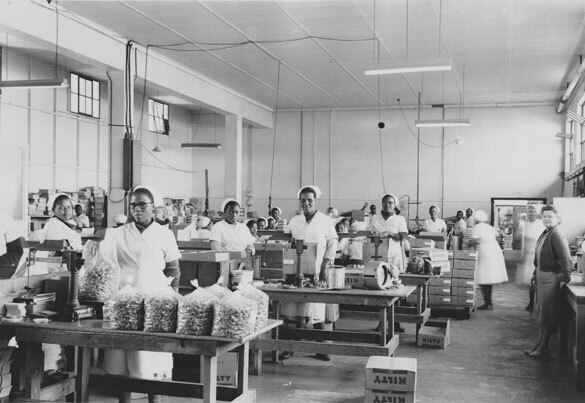 Kilty’s sweet manufactures opened their first factory in the Wasbank Valley in 1946. The Factory relocated to Dundee in 1956. Kilty’s closed its doors in 1983. Kilty’s was known for producing a wide range of sweets including LIFE SAVERS and Beechies “South Africa’s much loved chewing gum”. Images courtesy of the Talana Museum. Is it possible to still buy kilty’s sweets, strawberry and Violet and lavender? anywhere in joburg I’m willing to drive to find them, pls help? The factory is no longer in operation and doesn’t manufacture sweets anymore. Check with Pam Mcfadden at the Talana Museum for more information about the factory. In 1983-1984 we used to collect rejects sweets in containers outside in the yard. All mixed up and chipped but still a lot of fun. This all happened over weekends and we had to walk/hitch from a nearby town called Glencoe. The trick was to get past the security guard and his dog…hahaha. High school days at its best!